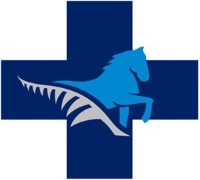 New Zealand Thoroughbred Racing considers racehorse injuries and fatalities to be a serious concern in the continuing welfare of our horses. Tendon, ligament, muscle injuries and stone bruises can occur in training and racing. Rapid diagnosis, rest and treatment are common practice in the industry. Research into causes and treatments, and investment in track and training surfaces will contribute to fewer injuries and more effective treatments of these injuries. Instances when a horse must be euthanised can undermine credibility and public trust in racing, particularly when in proximity to the public. However, although fatal accidents occur occasionally, New Zealand generally performs well against its global counterparts, with fewer fatal injuries to thoroughbreds than most other countries. In the past there have been claims that horses are destroyed on the grounds that it is uneconomic to provide the horse with care and recovery. In the event of a broken limb or other skeletal injury, the reality is that a prompt decision to euthanise is usually the most humane outcome for the horse. “When you look at their lower limbs, which is where a high incidence of these injuries are, there’s very little soft tissue covering the bone. So unfortunately, often, if there’s a fracture, it may well be that the bone penetrates the skin, which turns it into an open fracture. Even in people, that makes it a much harder situation to get good healing. So you can imagine, with a horse, no matter how quickly a jockey pulls it up, it’s hard for the skin not to get damaged and also for the blood supply to get damaged. Even if there were a remote possibility that the bone might heal, it may not be a good idea to wait and see, because of the complication of laminitis, a crippling and painful hoof condition. Even if the horse could be persuaded to lie still and let the bone recover, there are other problems. It’s weight, in particular, works against it. “They get pressure sores if they’re lying down all the time, things that are difficult to manage in people, let alone in a 500kg horse”. Could a horse not have its leg supported in a sling? “Again, they’re heavy,” Hall said. ”So, to take a meaningful amount of the horse’s weight, you’re then compressing its intestinal tract and everything”. Guiding and informing academic research into racing injuries. This work helps us understand thoroughbred injuries, particularly the risk factors that may be unique to New Zealand. The NZ Equine Research Foundation (NZERF) reviews and publicises appropriate research. The New Zealand Horse Ambulance Trust intends buying five horse ambulances (one each for Auckland, Waikato, Central Districts, Canterbury and Otago/Southland) over a two year period from 2017 to 2019. Having a horse ambulance at all thoroughbred race meetings and trials will provide significant welfare benefits to horses that need assistance with light or moderate survivable injuries. For horses with non-survivable injuries, while the process and speed of euthanasia will not differ significantly from current practice, the removal of the horse’s body will be easier and less confronting for both the public, the horse’s training staff and its owners. Continue to support NZERF, or Massey University Equine Trust supported research into horse injury causes and treatments, and communicate any conclusively positive research to the industry.